The first thing you should try if your computer is running slowly is to check for viruses by running a scan in your antivirus application. 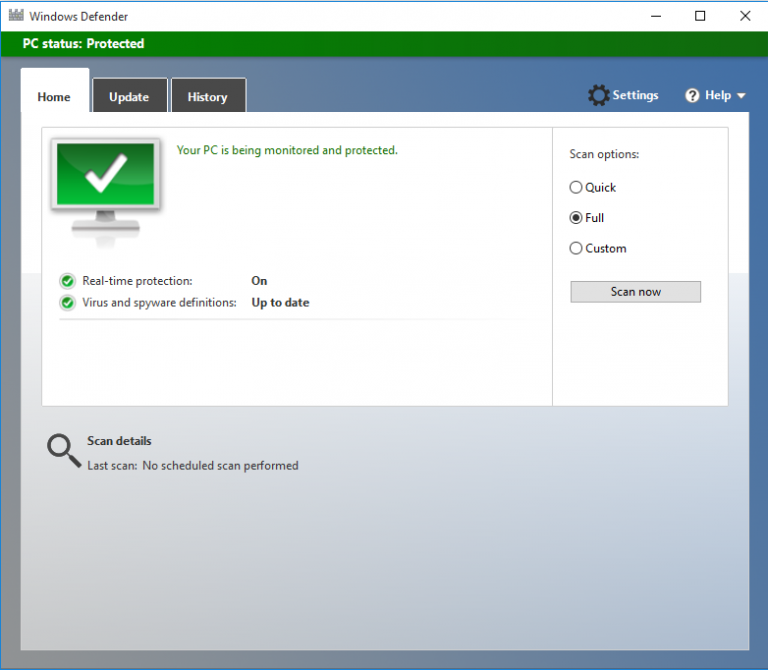 The exact process will vary depending on your antivirus software, but if you have the recommended Windows Defender (On Windows 8 or later) or Microsoft Security Essentials (On Windows 7 or earlier) the process is as follows. Go to 'update' in the navigation bar and click the 'update' button. Wait. A long time. It should take at least 30-40 minutes to finish. If it's surprisingly quick then it's possible you're infected with a very clever virus and you should contact IT immediately. If any viruses are detected then bring your laptop to IT. If nothing is detected, go to Step 2. A guide for Mac users is coming soon, though to be honest if you've got a mac it's highly unlikely you've got a virus or even that your computer is running slowly. Antivirus software is very resource hungry and so having two will unnecessarily reduce the available resources available to your other applications. Antivirus software looks like a virus to other antivirus software so they'll each be constantly attacking each other, giving you annoying warning messages all the time and increasing the resources used by each. If one antivirus quarantines a virus, the other antivirus won't necessarily register it as 'no longer a threat' and so continue to try and quarantine it. They'll compete for the same virus. This, again, will give you unnecessary warning messages and increase the resources used. If you think you have more than one antivirus software installed, we recommend you bring your laptop to the college IT office so we can ensure you uninstall the right software. Internet Explorer is often not considered to be the fastest browser available. We recommend Google Chrome or Mozilla Firefox.